If you have any questions about the THE FINISH LINE Trinity 120 RPH information page below please contact us. 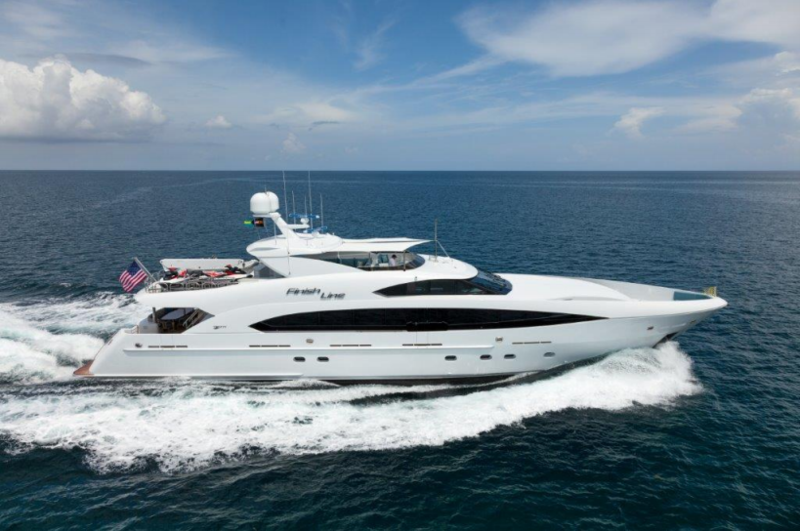 Motor yacht THE FINISH LINE is a 36.60 meter (120ft) raised pilothouse yacht, built by the American shipyard Trinity Yachts. The naval architecture and the exterior design come from the in-house team and represent a classical style. Trinity 120 RPH THE FINISH LINE was launched in 2013. 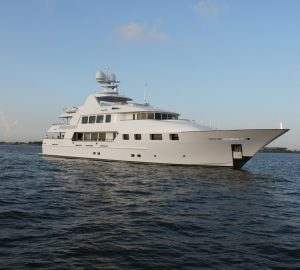 36.60m luxury yacht THE FINISH LINE accommodates up to 9 guests in four staterooms, including a full-beam master suite, two doubles and a twin cabin plus a Pullman, for extra friends or family. The main salon features a full wet bar, entertainment center, L-shaped custom sofas and lounge chairs. There are full walk-around side decks on the main deck and the water toys are stowed aft on the sundeck, which has also sunning space. 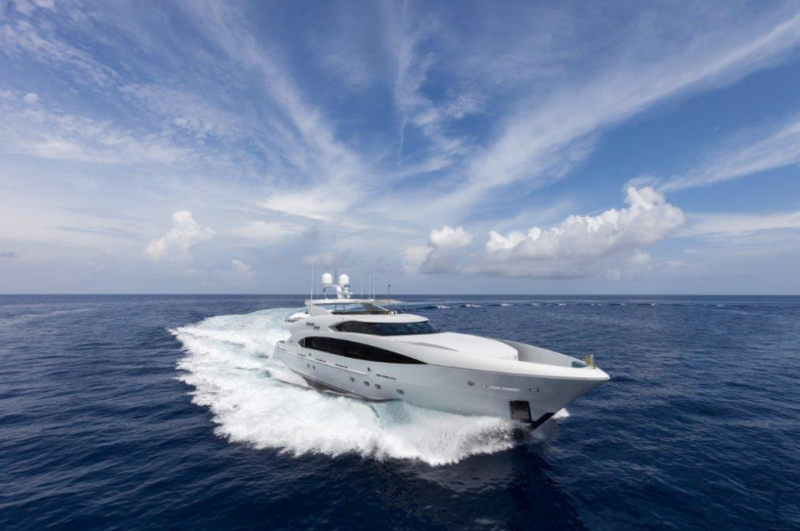 THE FINISH LINE superyacht has a beam of 7.9 meters (26ft) and a draft of 1.67 meters (5.5ft) and is powered by twin 2,600hp MTU engines. She reaches a maximum speed of 24 knots and is classed by ABS. 36.60m super yacht THE FINISH LINE comfortably sleeps up to 9 guests in four lovely staterooms, including a full-beam master suite, two doubles and a twin cabin plus a Pullman, for extra friends or family. The main salon offers a full wet bar, entertainment center, L-shaped custom sofas and lounge chairs. There are full walk-around side decks on the main deck and the water toys are stowed aft on the sundeck, which has also sunning space. 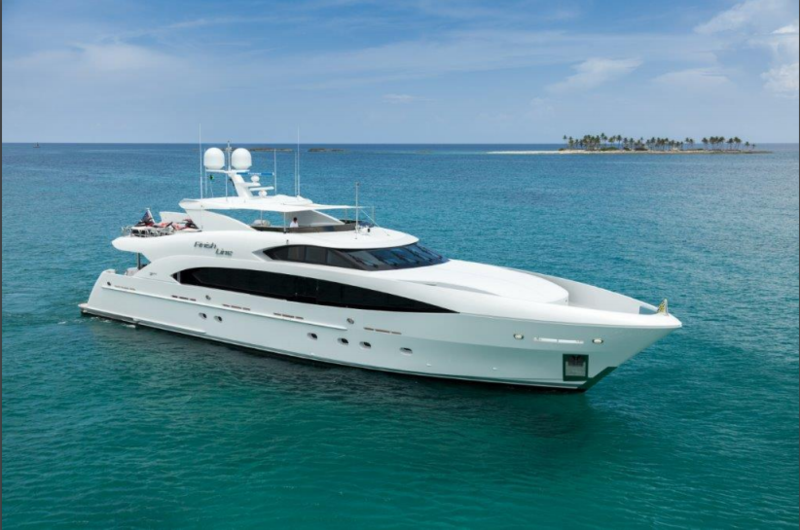 We do have available further amenity, owner and price information for the 36.60m (120´) yacht THE FINISH LINE Trinity 120 RPH, so please enquire for more information. 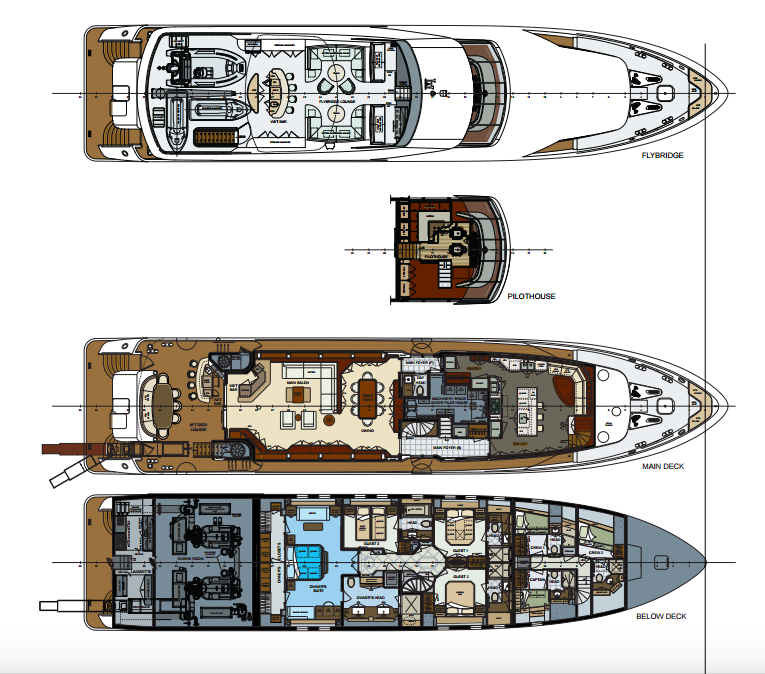 The luxury yacht THE FINISH LINE Trinity 120 RPH displayed on this page is merely informational and she is not necessarily available for yacht charter or for sale, nor is she represented or marketed in anyway by CharterWorld. This web page and the superyacht information contained herein is not contractual. All yacht specifications and informations are displayed in good faith but CharterWorld does not warrant or assume any legal liability or responsibility for the current accuracy, completeness, validity, or usefulness of any superyacht information and/or images displayed. All boat information is subject to change without prior notice and may not be current.